Honeybees are social insects. Like other social animals, they communicate with each other all the time in order to exploit the food sources that individual bees discover in their explorations. When a foraging honeybee comes across a promising food source it returns to the hive and does a little “waggle dance” to tell all the other bees where to fly in order to find this bonanza. The honeybee waggle dance has been shown to be sophisticated enough to communicate the direction of the food source from the beehive, relative to the sun, its distance from the hive, and its overall attractiveness, as well. And this dance provides good direction even on cloudy days, because bees can see light in the ultraviolet spectrum, allowing them to know exactly where the sun is no matter how heavy the cloud cover might be. But now let’s imagine, for a moment, that your customers were honeybees. This would mean you are in the business of operating a flower, and distributing nectar to the honeybee market. You want to generate the highest possible market share for your nectar, in order to generate lots of individual bee visits, thereby maximizing the chances for your pollen to be spread to other flowers. Occasionally, a bee buzzes through the airspace above you. How should you attract this potential customer to come take a look? Obviously, you do it with your bright colors and attractive smell. But now suppose you do get a bee to come in for a look-see, and it samples your nectar. 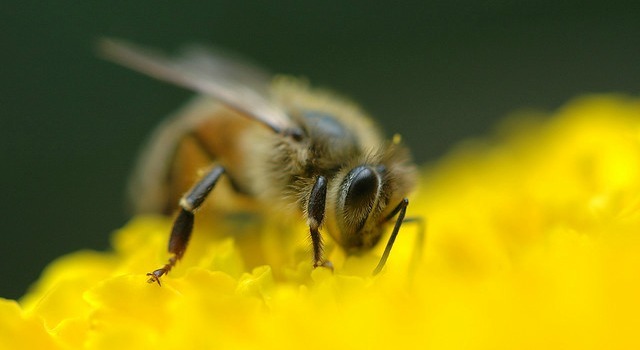 What determines whether the bee goes back to the hive and spreads the word about your flower? That’s simple: It’s only going to do its waggle dance for all the other bees if it has judged your nectar good enough to merit the return trip. Moral of the story: To encourage customers to sample your product, all you need is good advertising. Bright colors and a great smell will get any single honeybee’s attention at least long enough to make a visit. But if you want your customers to come back, after spreading the word to other customers about your product, then you better provide a good customer experience, too. It’s not the attractiveness of your flower but the quality of your nectar that will entice a real swarm of customers to come in. Human beings are social animals, also. We like being with others, telling stories, whispering rumors, playing games, laughing, entertaining, and being entertained. We like to share ideas, get feedback, discuss nuances, and sharpen our own thinking with other people’s perspectives. We even look to others in order to know what our own true feelings should be. Being social is an essential ingredient of human nature. The term “antisocial” is an indictment, implying that someone is unfriendly, cold, or misanthropic. If you’re antisocial, something’s wrong with you. As important as our social nature is, however, social media and other interactive technologies have injected it with steroids. Before our very eyes, we are being transformed into a dynamic and robust network of electronically interconnected people in a worldwide, 24/7 bazaar of creating and sharing, collaborating, publishing, critiquing, helping, learning, competing, and having fun. We are like honeybees with smartphones, doing our waggle dances in the Twittersphere and on the Facebook timeline. This very rapid acceleration in the speed and volume of human interaction has dramatically increased the importance of trust. Trust is an essential lubricant for interaction. Trust is what makes our connections with others useful and efficient. And our standards have gone up already. Now that we are extremely social, we require extreme trust. So next time you’re thinking about how to build your business, why not try imagining that your customers are going to be deciding whether or not to dance for their friends after dealing with you? Then ask yourself whether it makes more sense to invest in your flower’s appearance–or your nectar’s taste.